It turns out that the massive range of e-bikes is a bit overwhelming – without really knowing very much them, it’s hard to know what the difference is between the bikes, and why some bikes are so much more expensive than others. 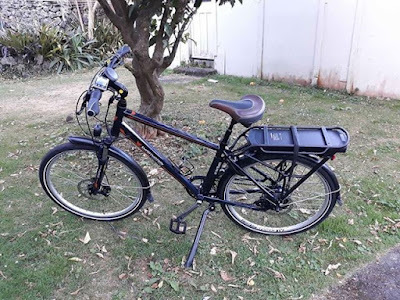 Different shops have a different variety of brands, and then there are the really cheap bikes you can find on TradeMe, and it definitely left me thinking “I just don’t understand why the pricing is so different for bikes that seem to have similar specs”. E-bikes are not cheap, so I feel like you should spend a decent amount of time doing your research to make sure you’re making the right purchase and getting a good deal (just like if you were buying a car). I ended up spending almost three months sporadically doing my research and talking to people before I arrived at a shortlist to take to some e-bike shops. So in this article, I’ll discuss the factors that most significantly influenced my final choice of e-bike. I’ll try to keep it short, but that’s really not my strong suit, so apologies for that in advance. Probably the most important thing to do first is to identify your use case. 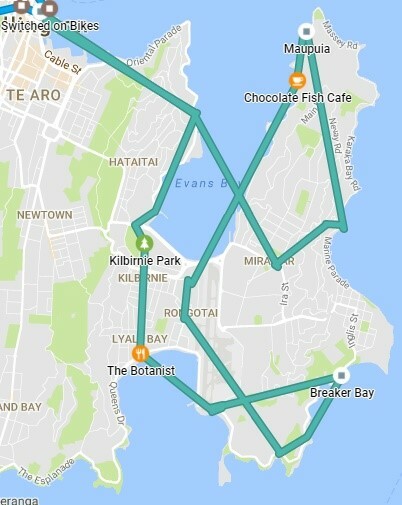 A daily commute from Te Atatu to the CBD is very different to the occasional ride on the weekend and has very different needs. In my case, I live in Newmarket and need to get to the CBD and back about 3-5 days a week. Regularly struggling up Symonds Street was one of the big motivating factors in getting an e-bike. It’s a reasonably short commute, but I also found that since I don’t have a car, I would limit myself socially to not go too far away in case I didn’t have enough energy to bike home, so it would be good to be able to do the occasional longer trip to attend events and visit friends. Overall, I’m not really looking for a bike that will do a long commute every day, but I do want something that could do longer trips if needed. Also hills. The e-bike has to be able to handle (relatively big) hills. My parents live on the North Shore, so something that initially influenced my choice was the portability of the bike. At the moment, I do walk-bus-walk to get to theirs, and it would be nice if that could be cycle-bus-cycle instead (until the Skypath is eventually finished perhaps). You can take folding bikes on the bus, and full-sized bikes are only allowed on trains and ferries. Folding bikes take up much less space, and you might feel better about the security of your bike if you can store it under your desk at work rather than leaving it outside where the likelihood of theft is unreasonably high. They’re also a bit lighter, which can help if you have difficulty carrying or lifting heavy things. On top of that, folding bikes can be cheaper since they’re smaller, with the Onya F-19 priced at $2350 (vs. about $2750 for the equivalent full-size Onya SH1). The SmartMotion E20 is also a popular folding option. 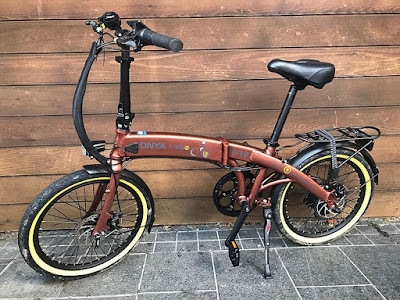 However, the size is also the biggest downside of the folding bikes – most of them have 20” wheels (or even 16”) in comparison to the >26” of the full-size bikes. It turns out that the size of the wheels shouldn’t have much impact on the performance of the bike as you can probably get to the same speed on both with similar motors, but the smaller bikes have a much worse ride quality. The bigger wheels are better able to absorb the potholes and uneven surfaces of Auckland roads better (although not completely), and after a long journey it can make a big difference to your level of enjoyment and happiness. So I think the general wisdom is that you should only choose the folding bike if you have space or weight limitations (for example, if you live in an apartment block or need to carry the bike up flights of stairs regularly, or you’re really really keen on multi-mode transport and want to take it on the bus). In pretty much all other cases, a full-size bike will be more comfortable and enjoyable to ride. When it comes to the motor, there are two important numbers to look out for: the voltage and the power (in Watts). In NZ, most motors are 24V, 36V, or 48V, with the vast majority being 36V. The main difference here is how much pep the motor can give – when the motor goes, with a higher voltage motor you’ll feel more acceleration and it might do better on hills. However, in the vast majority of cases, 36V is enough and the main reason to upgrade to 48V is if you want, well, more. 48V costs more too, and it’s probably not worth it for most commuters because of the speed limits. In terms of the power, most motors are either 250W or 300W. Since 300W is the legal limit in NZ for electric bicycles on the road (before they become classified as electric scooters and you need a bunch more safety stuff), if you see a bike with more then it’s probably intended for off-road use only. Of course, the police aren’t actually checking every bike and probably won’t notice unless they see you speeding down the road at 60km/h, but if you do that it’s obviously much less safe and you do it at your own risk (I don’t endorse or encourage this at all, 30km/h is plenty fast for me). There’s a lot of debate about what the number of W on the motor actually means (whether it’s peak or continuous or whatever) and sometimes this number can be misrepresented to make it look better than it actually is, so you may need to be careful with cheaper bikes/brands that might not be telling the full truth with this number. In my opinion, you pretty much want 300W if you can get it – anything over $2500 is likely to be at 300W (or more). I read an interesting article somewhere that helped me understand the difference the motor power makes by talking about it in terms of total power output. A person riding a bicycle needs to generate a certain amount of power in order to get it moving (and keep it moving), pushing against the various forces like friction, gravity when going up hills, and drag when it’s windy. An average cyclist is probably producing about 100-200W of power, and the motor power goes on top of what is being produced by the cyclist. The motor is not actually drawing 300W all the time (it goes up and down as needed) since the power generated is partly dependent on the level of assistance that you’ve selected, you need more power to exert the same force because you’ve got a motor and a battery making the bike heavier, and when you feel the motor also producing power then you instinctively produce less to compensate. In general, it means that the cyclist can generate less power and still get the same total power output for the overall system. So I think the biggest thing for me is that this means you can go much further while outputting less power, which means you get less tired! The battery is generally the most expensive component on the bike, so getting a bigger or smaller battery makes a big difference to the overall price. The most important number here is the capacity, usually measured in Amp-hours (Ah). If you find a bike that lists the capacity in Watt-hours (Wh), then find the voltage of the motor, and divide the capacity by that voltage to convert it to Ah (based on P=IV). The capacity influences the range of the bike, i.e. how far you’ll be able to ride before you need to recharge. The capacity alone doesn’t determine the range though – it’s also dependent on the weight of the rider (and any luggage), as well as the level of assist being produced by the motor. @tslumley notes that the elevation of any hills you have to climb affects your battery use more than the distance. The general rule of thumb in NZ seems to be that to calculate the range (very approximately), you multiply the capacity in Ah by 5km, assuming an average-ish weight and a medium level of assist (level 2/3 out of 5). Most entry-level e-bikes come with a 10.6Ah battery by default, which means that you can get a range of approximately 50km. Remember that you probably want to get home as well, so unless you can charge the battery at your destination (which can take 4-6 hours), you probably need to divide that range by two to decide how far away you can go from your house. Always be a bit wary of the range advertised in marketing material, as sometimes this might be based on flat roads only or be otherwise misleading. In my case, a 10.6Ah battery probably could have been sufficient, but the other thing to remember is that the capacity is also likely to weaken slightly over time as the battery gets older. This really shouldn’t happen that quickly (and most modern batteries should support over 1000 charge cycles), but I didn’t want to get too small a battery, and then have to replace it or upgrade it sooner when it no longer met my needs. I’d also rather not have to worry about the battery capacity too much, and just go as far as I want within Auckland. I opted for a 15.6Ah battery upgrade, taking both of those factors into account. You can get even bigger ones if you want to go further, and if you end up with a bike with a 48V motor then you should definitely get a bigger battery. Generally, the motor only engages when you are pedalling (which is the root of a common European name for e-bikes, “pedelecs”). This is totally fine, except for when you’ve stopped at traffic lights on a hill, left your bike in a high gear, and then need to push off when the lights go green. Actually, with the extra weight of the battery and the motor, even starting from rest can be a bit challenging if you’re not already on a downhill slope. F=ma, so you have to generate the most force when you are accelerating from rest in comparison to when you are just continuing on at the same velocity, and W=Fd, so more force when moving from rest means more work is done (energy is spent), and therefore more power is needed. Hurrah for high school physics! Chances are, you'll struggle to get to speed at traffic lights and the cars around you might get angsty, and it usually takes a second or so for the system to recognise that you’re pedalling and make the motor go. Most new bikes now come with throttles, which you can twist on the handlebar to tell the motor to turn on and push forward without you pedalling. A throttle helps in the hill start scenario a lot (or even just pushing off normally), as you get up to speed a lot faster and with less effort. You could theoretically just ride around with the throttle like a scooter, but this drains the battery a lot so you’re massively reducing the range if you do this (and constantly drawing power like that is not so great for the lifespan of the battery or motor). In my opinion, having a throttle is super important and is one of those features that can make or break having a good time on the e-bike, especially when you’re riding around a city with lots of stopping at traffic lights and intersections. Oddly, this is something that I think matters a lot that many people don't talk about. E-bikes will have a sensor attached to the bike that allows the computer to figure out how much power the motor should produce to assist the cyclist. I’m going to massively simplify the two types of sensor here because the physics gets a bit more complicated, but there are simple-ish explanations of the difference here and here. A cadence sensor essentially works by measuring the revolutions of the chain or wheel and using that to determine the speed of the bike. The first effect of this is that the level of assistance is based primarily on your speed, and the motor will just try to give you a boost up to the target speed. This can have unintended effects, like if you are pedalling slowly just before getting to a downhill bit and then the motor suddenly kicks in and propels you forward. The second effect is that when you start pedalling, you have to do up to one revolution manually before the system can recognise you’re moving and kick in with the motor. This can make pushing off harder, and the power can feel a lot more sudden and surprise you. A torque sensor, on the other hand, measures the level of force that you’re applying to the pedal, and the computer then tells the motor to produce a proportional level of boost. In contrast to the cadence sensor, this is not based on the speed but based on how hard you’re pedalling, so it generally feels a bit more natural because it is amplifying your effort. Additionally, the motor kicks in almost immediately when you start pedalling, so there is no awkward delay trying to get the first revolution. The problem is that torque sensors are more expensive, so you usually only find them on higher-end bikes (the cheapest one I found with a torque sensor was the Onya SH-1 Cross, priced at just under $3000). In my opinion, if you have a throttle, then you can mitigate most of the downsides of having a cadence sensor by using the throttle to manually tell the motor to start helping. I tried bikes with both, and the torque sensor definitely feels nicer, but if you can’t afford it (like me) then the cadence sensor is still good enough. @AlastairGSmith says that a mid-drive motor (with a Shimano or Bosch system) has better pedal assist so that a throttle is unnecessary, and is slightly more efficient too. There’s a lot of argument about mid-drive vs. rear-drive motors and downtube/mid-mount batteries vs. rear-mount batteries, how that affects the weight distribution of the bike, and how that therefore affects the performance and ride quality. A lot of people care about this apparently. To be honest, this was one of the least important factors for me because, at the end of the day, the largest impact on the bike’s weight is the cyclist. The motors are generally not too heavy, so I really don’t think mid vs rear-drive makes a huge difference, but I could be persuaded that the positioning of the battery is maybe more significant. The batteries are a couple of kgs (mine feels like it could be 6 or 7kg), but at least in my (very limited) experience, the mounting position hasn’t affected the ride too much. However, it does affect how easily you can lift or carry the bike, and with bikes that have both the motor and battery on the rear, it can make it a bit trickier to pick up the bike because it’s so back-heavy. I’m basically lumping everything else together in here, and sometimes it’s just the little things that can make a big difference. On the Magnum Ui5, you have to turn the lights on and off by pushing buttons on the lights themselves (which you probably can’t safely reach while riding), and the rear light is completely separate and needs separate batteries. On the SmartMotion e-City or e-Urban, the lights are connected to the main computer so they draw power from your main battery and you can turn it on or off from the handlebar. Not usually a big deal, but it’s just a minor detail that makes the e-City/Urban a bit more usable on a regular basis. The positioning of the brakes and the gear levers can make the bike easier or harder to use – sometimes everything is just cramped too tightly together because there’s not enough handlebar real estate. Some bikes have really awful computer interfaces (the worst one I saw was literally just a couple of LED lights for battery level and assist level), while others have fancier LCD screens that display a lot more information (including odometry and expected range). 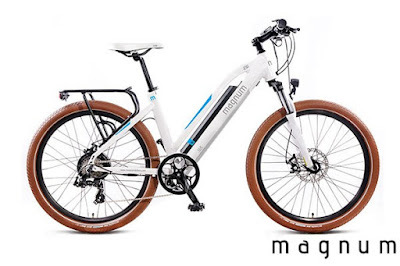 You might care about the number of gears available, especially if you do sometimes want to ride the bike without electric assistance (a lot of the cheaper ones only have 5-8 gears, while the Magnum Mi5 has a full 21!). Some bikes have built-in rear wheel locks which make them much harder to steal because the thief can't ride the bike away. Some bikes have the battery built into the bike so it can’t be taken out and stolen, but it also means that you can’t separately charge the battery without the bike. Some bikes come with a rear rack so that you can add pannier bags easily. Some bikes come with bells and drink bottle holders. Some bikes have better cable protection than others (the bad ones look a bit flimsy and if a cable gets cut or frayed, it’s probably going to be a bad time). For most of these little things, the only way to really find out about them is to give the bike a test ride, and to get some advice from the people selling the bikes to find out what issues they’ve noticed in the past. The last thing that’s really important is the general availability of the brand and people willing to service those brands. This is probably the most important reason to stay away from the very cheap end of the market because if you have an issue with one of those, chances are no one will be able to source replacement parts for you (especially if you buy it online from overseas instead of from a brick-and-mortar shop). If you can find the brand being sold by multiple shops, then that’s probably better long-term as it can give you some ability to shop around (both in terms of the initial purchase and in terms of servicing). Of course, everything else is superseded by a fixed budget of what you can afford. In my mind, there are a couple of classes of e-bikes that you can aim for: there are the cheap bikes from unknown manufacturers that don’t have any good reputation and are a risky purchase that sit around $1500-2000, entry-level bikes that go from about $2500-$3000, and then “good” bikes like the SmartMotion Pacer which are $3500-$5000. Beyond that, we’re talking bikes that are probably being used for off-road mountain biking purposes that are really expensive, in the $6000+ range. After saving for awhile and dipping into my savings, I had a budget of about $2700 for a new e-bike. I did check TradeMe, and even won an auction for a relatively new but second-hand bike for $1400, but the seller in Blenheim never replied to any of my e-mails so I assumed the trade was off (and in retrospect, I would have been pretty nervous about sending that amount of money in case it was a scam). I did also consider getting an e-bike kit and installing it on my existing bike, but decided that my $100 fourth-hand bike is already old enough and has enough issues like certain joints being rusted tight that I might as well get a new bike. Evolution Cycles did have a 10% sale for Boxing Day too, which messed with the economics a little bit but ultimately wasn’t enough to put the next class of bikes within reach. Financing can change what is and isn’t affordable if you're okay with regular payments instead, but I learnt a personal finance rule that you should never go into debt for depreciating assets because you generally lose money in the long-run, so I would rather buy the bike outright. As a plus, Mercury Energy has been trying to encourage people to use e-bikes, and their customers are eligible for discounts on a pretty wide range of bikes from most e-bike shops. The discount is usually $250, although for certain models the discount goes up to $500. I went to a couple of different shops to have some chats, and it was helpful in the sense that they were able to answer some of my questions about things like ride quality and give recommendations, but also unhelpful in the sense that different salespeople gave contradictory advice. For example, one salesperson said that the Magnum Ui5 was the most popular e-bike in NZ and outsold everything else by a factor of five, while at a different store they said that Magnum bikes were pretty poorly designed and actively steered potential customers away from them (even though they had them in stock too). Another salesperson was talking quite quickly and pressuring me into making fast decisions. I think the lesson here is to just take everything that you hear from the salespeople with a grain of salt and be careful – you’re the one spending a lot of money, so take your time (which you are entitled to) and don’t let a salesperson force you into a decision that you’ll regret later. After test riding a couple of bikes, I settled on the Onya SH-1 Cross at Bikes and Barbers Newmarket, mostly because it has a torque sensor and I was told that the price was $2750 (which in retrospect, did seem like a “too good to be true” deal). It turns out that the pricing was wrong (actually $2990 with a 13Ah battery, and it would have cost about $3250 in the configuration that I wanted with a bigger battery and maybe a 48V motor). They couldn’t sell me the bike that cheaply (they're good people, everyone makes mistakes sometimes), so I switched to a SmartMotion e-Urban instead. The e-Urban and e-City bikes are essentially the same except for the frame (the e-City is step-thru while the e-Urban is, uh, not). The e-Urban and e-City bikes are very popular, and have also been battle-tested as hire bikes for several operators over long periods of time. As a bonus, SmartMotion bikes are designed in New Zealand too, and use the same underlying drive system that NZ Post uses for their e-bikes. I’ve ridden it for two days so far, and I’m enjoying it a lot. It is quite back heavy, which is fine when riding but makes carrying it up and down steps a bit difficult. 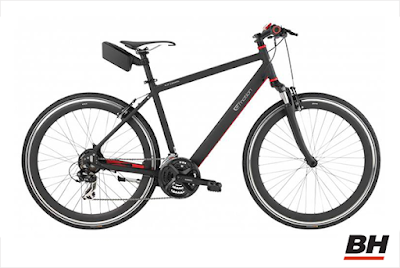 The wide battery at the back also makes it a bit harder to get on the bike, with an increased likelihood of whacking your shin on it if you’re not careful, which might be an argument in favour of the step-thru frame on the e-City. Once I got used to the throttle, riding has been really easy, and I’m able to maintain an average of about 25km/h on most roads, and about 15km/h on some pretty steep hills. I’ve travelled approximately 15km so far on the first full charge, and still have about 80% of the battery left (mostly on an assist level of 2 or 3 out of 5). Hopefully, this article has been somewhat helpful to someone! I’m always happy to try and answer any questions that you might have about e-bikes if you’re thinking of buying (although I’m still not as knowledgeable as the people in the shops) – you can find me on Twitter as @andrewtychen.